I don't care for this pattern much. 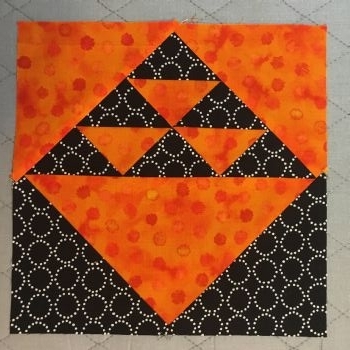 It makes 4 blocks at a time, but only 1 of the 4 turned out well enough for my standards. Probably because I don't like it well enough to be careful. Ah, well. At least I got to enjoy my roasted veggies. The pattern comes from a block-a-day calendar, but I've seen it other places, too. I actually like the pattern. You did that yourself? At least you're TRYING. We don't know until we TRY!